TEAM – Together Everyone Achieves More! Our vertical Housepoint system is based on three core values: Raising aspirations, healthy competition and developing community values. Every pupil and member of staff are allocated to a house. Each house has one elected House Captain who leads the house on behalf of the pupils. 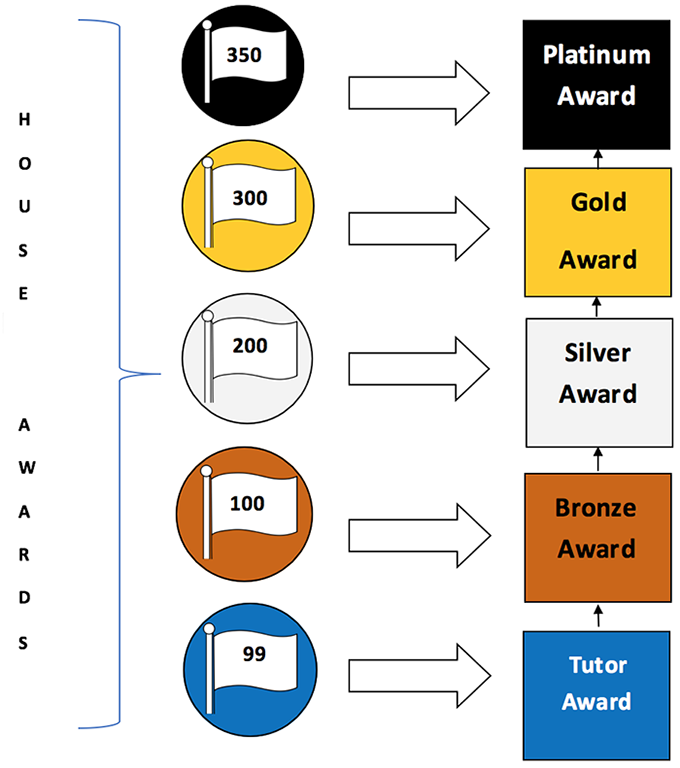 The Housepoint system must be fair and staff must be consistent in their awarding of Housepoints. One house point will be awarded to up to two pupils each lesson who fulfil criteria set by staff for that lesson. These criteria should relate to the learning objective and be explained to pupils at the start of the lesson. The House points should be based on the potential of each pupil so EVERY pupil has a chance to get them.